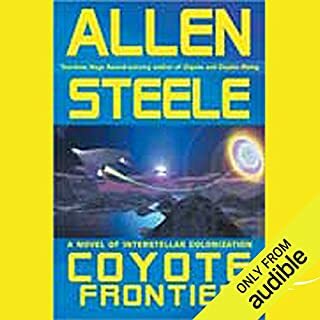 All the Allen Steele books are hard to finish due to the narrator. Peter Ganim does a better job in this book, but he still speaks in a monotone that is hard to overcome. I preferred Daemon and Freedom, but this work does live up to its promise, if nothing else. Wasn't able to put it down even on the third read. I cannot recommend this book enough. 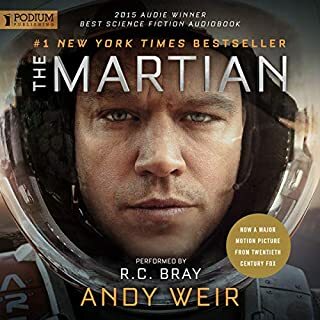 This narrator went all out to capture Mark Watney's voice. Don't know if many others could have done this. Felt like he could have written a fourth book, but choose to end it here. Refreshing in our world of 27 book runaway series. A little indulgent, but good overall. The book is definitely self-aggrandizing. 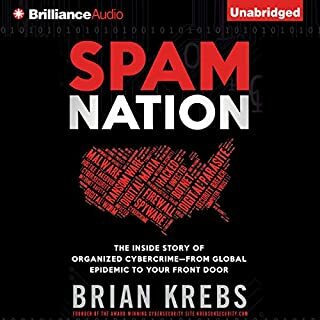 You could get the meat of what's written here online, but it's informative if you haven't been keeping up with the spam takedown. 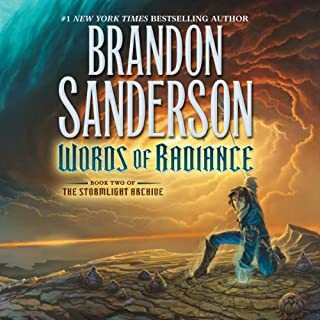 Can't get enough of this narrating duo or Brandon Sanderson. This book does not disappoint. I'm glad i didn't rum across this book years ago. I wouldn't have been able to wait four years for the next book. If you could sum up Pandora's Star in three words, what would they be? 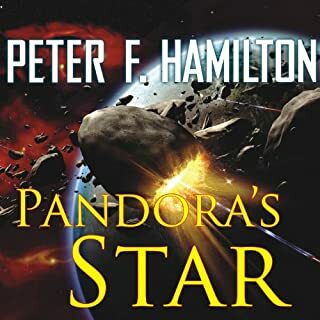 What other book might you compare Pandora's Star to and why? 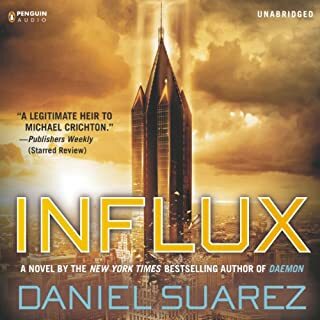 Not so much a book, but the feel is very much like the Firefly series in that most of the worlds are developing with a few at the very center being the major industrial warehouses. Would you be willing to try another one of John Lee’s performances? I love John Lee. I hate this publisher, Tantor Audio. 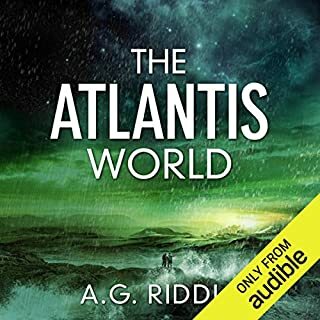 The previous publication audible made available was excellent, but Tantor has ruined this book. It sounds as if they recorded it on a laptop microphone and the free audio editing software that came with the laptop. John Lee, you should demand Tantor pay to have you redo this book. It is an insult to your talent. 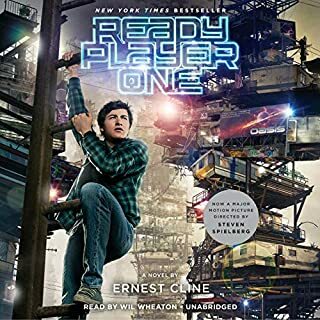 On a side note, the version audible will not sell in the US for some reason, by Pan Macmillan Publishers Ltd, is also excellent. Log out and search for Pandora's Star. The three-minute section of the Tantor production is as good as that production ever gets and the difference between it and Macmillan's production is night and day. Audible! What the heck are you doing!?! I loved this book before it became unlistenable. What made the experience of listening to War of the Twins the most enjoyable? 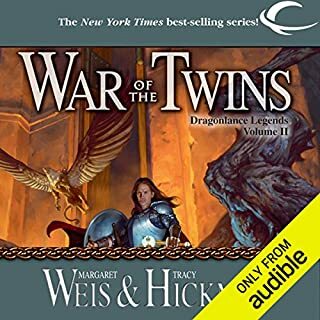 Margaret Weis and Tracy Hickman do a wonderful job in this series at leaving you wanting more. They have mastered the elements of their expertise to craft one of the best narratives in the Dragonlace setting with the Legends books and this book is no different. My only complaint is pronunciations the narrator used for very common fantasy names. Especially the dwarven names. The pronunciation of Regar in particular struck my ire. 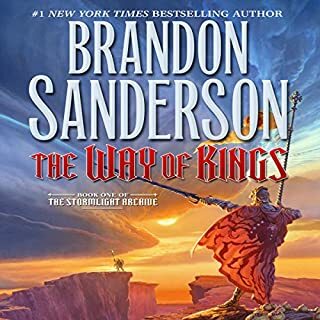 I am used to hearing this name pronounced RAY-gar as opposed to the narrator's reh-GAR, but it is a rather minor complaint given the narrator is, overall, heads and tails over his compatriot fantasy narrators. The narration was wonderful! The pacing made the story riveting, but not hurried. I especially loved the differences in pacing between different characters. It lended a sense of separation between character personalities that would not have been there with variance in voice alone. Absolutely! In fact, be warned that you will most likely avoid tasks that will not allow you to continue reading. There are very few points in this book where you will feel like you can stop for a few minutes. When you do make a break, you will be thinking of when you can return to the book.